APOPO’s dedicated team is made up of experts from all backgrounds who bring a diverse and progressive element to our work. 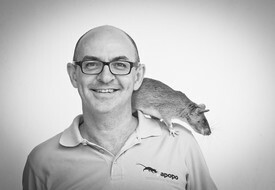 Christophe leads APOPO's team, with many years of management experience in East Africa. 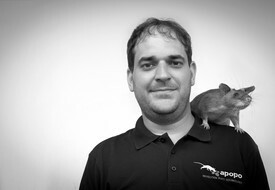 Christophe holds a Msc in Product Development & Development Sciences, and developed much of APOPO's technical apparatus. 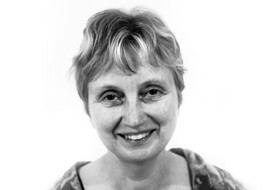 Dr. Cynthia Fast holds a Ph.D. and Master’s degree in Psychology specialising in Learning and Behaviour and Behavioural Neuroscience from UCLA. 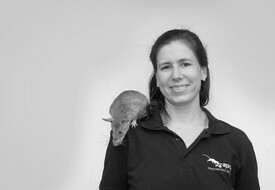 Cindy has more than ten years of experience conducting behavioural research with a variety of species including rats, mice, pigeons, hermit crabs, and horses. Håvard has a long and varied mine action background, with involvement in almost all aspects of mine clearance over the past 26 years. He graduated from the Military Officers Academy in Norway after which he went on to become the Head of the Norwegian Engineering component to United Nations Interim Force in Lebanon (UNIFIL). After his career in the army he joined the Norwegian People's Aid (NPA) and set up their programs in Mozambique and Angola. 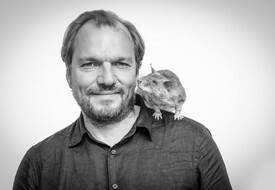 Håvard served as Head of Operational Methods and also briefly as Head of Mine Action and Human security for the Geneva International Centre for Humanitarian Demining (GICHD). 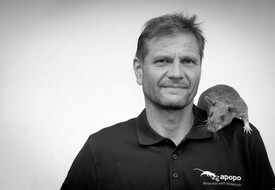 Håvard joined APOPO in 2016 as Head of Mine Action. 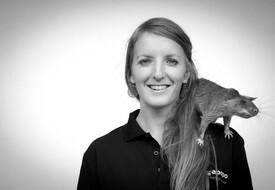 In 2019 Ashley took on a new role with APOPO as Mine Action Advisor. Prior to this Ashley served APOPO in a global role as Director of Grants and Contracts, and in regional role as Grant & Regional Manager supporting APOPO's mine action programmes in Angola, Mozambique and Zimbabwe. Otherwise, since joining APOPO in 2013 Ashley has held progressively responsible posts in APOPO's Mine Action Mozambique Programme. Before joining APOPO, Ashley worked in NGO Management in the United States and Germany, and in the private sector executing international development and aid projects. She holds a masters degree in International Relations. Michael joined APOPO as Program Manager of the Cambodian Mine Action Program in April 2018. He brings several years of experience working in Mine Action in Israel and Palestine. After a 10-year career in the Engineering Forces of Israel, he played a key role in establishing a Civilian Mine Action Program there. 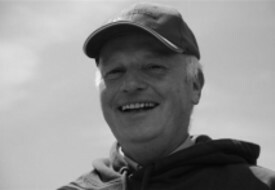 In the last 7 years Michael managed and supervised many NTS, TS and Clearance tasks, and also wrote the National Operational Standards, built Training and Accreditation areas, tested equipment, machines and animals, built the Quality Management Operational Setup, and established the Demining R&D Program. In the last 4 years Michael was in charge of developing and promoting the clearance of the minefields in the West Bank, working closely with Palestinian people and stakeholders. As the person responsible for the international activities in the authority he worked in close cooperation with international organizations, donor countries, associations and other mine action centres. Lena joined APOPO in July 2017 as Head of Tuberculosis. She is trained as an infectious disease epidemiologist (PhD) and veterinarian doctor and has substantial practical experience in TB epidemiology, surveillance and epidemic control gained through her work at the Robert Koch Institute, the national public health institute in Germany, and through WHO consultancies and research stays in various African countries. Her special interest lies in improving TB case finding, linkage to care, and prevention of spread through innovative approaches. 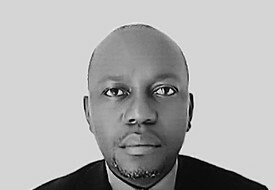 Dr. Georgies Mgode is a Research Fellow specializing on zoonotic diseases including tuberculosis (TB). He is among the pioneer researchers at APOPO TB. 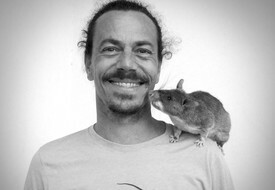 He pursued his doctoral degree on TB detection using rats at Max Planck Institute for Infection Biology, Germany, and identified Mycobacterium tuberculosis odour volatiles detected by rats. He received a Presidential Medal of Invention and Scientific Research, from H.E. Jakaya Mrisho Kikwete, President of Tanzania. He has broad research experience and expertise through training at renowned institutions such as the Royal Tropical Institute (Netherlands); Max Planck Institute for Infection Biology (Germany); Marseille University (France); and Royal Belgian Institute for Natural Sciences (Belgium). He has described a new Leptospira serovar Sokoine causing human and animal leptospirosis. He is a member of the National Steering Committee for Public Health Pesticides, and National Malaria Vector Control Sub-committee. 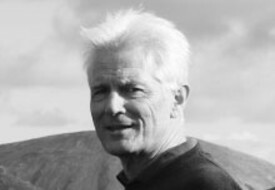 Robert Burny joined APOPO in July 2018 as Program Manager for the TB operations in Maputo, Mozambique. Robert holds a Masters degree in Physical Therapy and Rehabilitation and has substantial program management experience with highlights in health and social development. In his PM capacity, Robert will contribute further to the fight against TB and make linkages between services and communities, diagnosis, treatment and cure. Negussie has a Ph.D. in Analytical Chemistry and M.Sc. in Public health with ample experience in biomedical sciences research. He served an Assistant Professor at Addis Ababa University, Head of Regional Health Research Laboratory and Lecturer of Clinical Chemistry in Ethiopia. 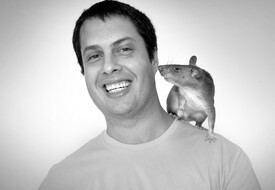 He has conducted research in Austria, South Africa, Spain and Tanzania. 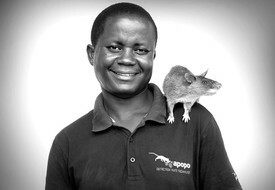 Negussie managed APOPO's Tanzania TB program and chemistry laboratory for seven years. 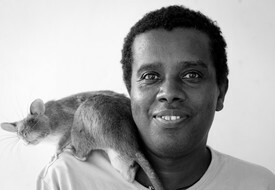 He recently assumed the Program Manager post for APOPO's TB Operation Program in Ethiopia. Esther has a Bachelors degree in Social Work and a Masters degree in Communication. She is the Executive Secretary at the administrative headquarters of APOPO in Belgium since March 2019. Her contribution to APOPO involves a combination of communication, fundraising, HR and administration of our office in Antwerp. With her experience in the civil society sector and her track record in communications, HR and administration, she is perfectly qualified to shape the secretary position. 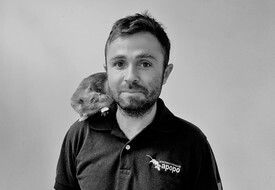 Chris is now helping fundraising at APOPO, drawing on years of experience in the SaaS market. Chris previously led digital strategy and marketing at CuriosityStream from inception to over a million users. Chris studied Marketing at the University of Maryland and is also currently a Forbes contributor. 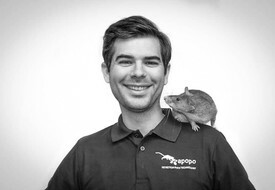 Bastian Van Mierlo is lead on APOPO’s IT architecture. Bastian, a German national, has an academic degree in computer science and has worked in the IT sector since 1999. Since 2011, he has been working for one of the leading German NGO’s, managing global projects and interacting with many different cultures. 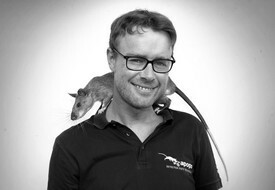 Herwig Leirs is a professor of Zoology and Population Ecology at the University of Antwerp, Belgium. 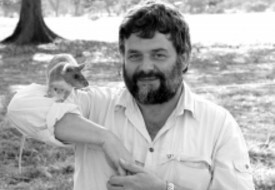 He is a specialist of rodent biology and the ecology of infections with numerous international research projects, particularly in Africa. Currently he is also Chairman of the Board of Governors of the University of Antwerp. Joris Schoofs holds a Master in Commerce as well as a Master in Business Administration. He build his career in the oil industry focusing on management and advisory positions. He joined the APOPO board in 2017 and will add value to the team with his financial insights and sound business sense. Mic is a sociologist and psychologist who lectured at Antwerp University. In the late 1960s he co-founded the Department of Product Development. He also co-founded the department of communication sciences at the University of Antwerp. For almost 20 years, Mic produced numerous socially oriented programs on Belgian Television, raising awareness on difficult social challenges. 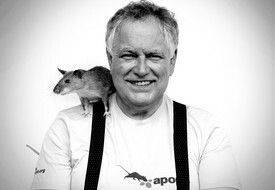 Mic co-founded APOPO and has been APOPO's chairman since 1998. 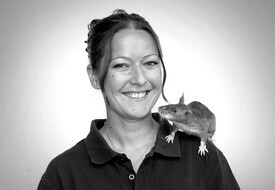 Dr. Adee Schoon is a leading scientific expert in the olfactory detection capabilities of animals. 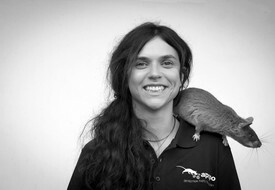 She holds a Phd in Biology from Leiden University in the Netherlands and is the owner of Animal Detection Consultancy. Adee has a wealth of experience in detection dogs, as well as training detection teams of animals and handlers. She has been engaged in supporting the development of APOPO’s work since the early start in 1998. Gerrit Ruitinga has been the chairman of the Dutch Petroleum Federation since 2005. He studied at Erasmus University in Rotterdam, and Harvard Business School. 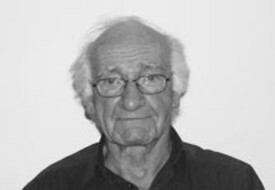 Gerrit has served on the APOPO board since 2011. Jan De Bisschop is a Programme Specialist at the UNESCO Liaison Office and Representation to the European Union in Brussels. He has been working extensively with various agencies and programmes of the United Nations and is a specialist in advocacy and cooperation with the institutions of the European Union, mainly in the field of development and humanitarian aid. Piet Van Hove is the head of the International Relations Office of the University of Antwerp, Belgium, where he previously studied law. His office is responsible for policy formulation and implementation in the field of internationalization, including cooperation with developing countries. He is also a board member of the European Association for International Education (EAIE). Thierry developed his career in the energy market, oil and natural gas, first as a manager and later as a director. He started his own management consultant company, called Act Management, 15 years ago. In this respect he undertook several important restructuring programs in the world of energy but also in the world of logistics, chemical industries, federations on national and European levels. He holds a Master degree in Applied Economic Sciences at the university of Leuven (UCL). His main hobby is sailing on the North Sea. As a sailor you learn how to combine weather, wind and courant to arrive at a destination. In business you are also dependent on several factors. You need to understand them in order to achieve the company objectives. Thierry is happy to share that experience and expertise with APOPO and sincerely hopes to contribute to the success of the organization.